Beautiful day and amazing sightings. 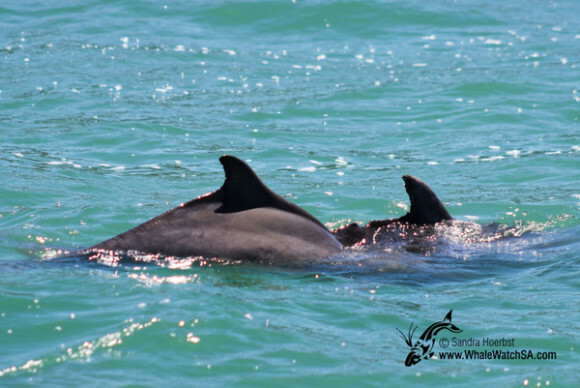 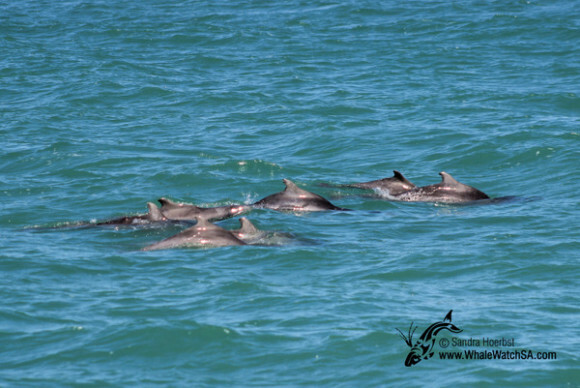 First we spotted our humpback dolphins close to the natural estuary in the bay. 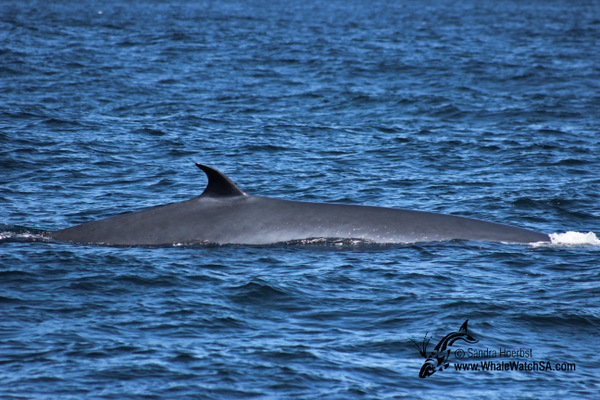 Most of the individuals we saw today we know well. 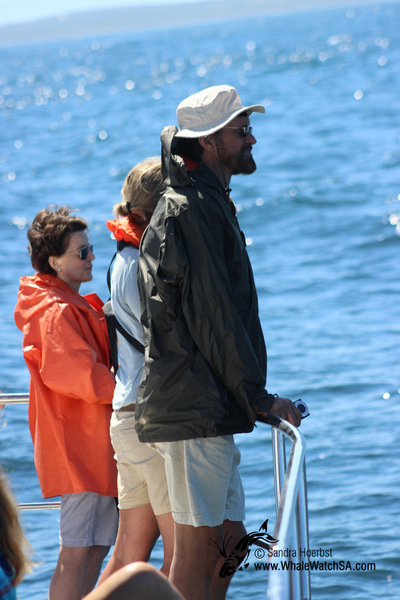 We encountered Captain Hook with her calf big Z as well as another known adult with the name Fingers and many more. 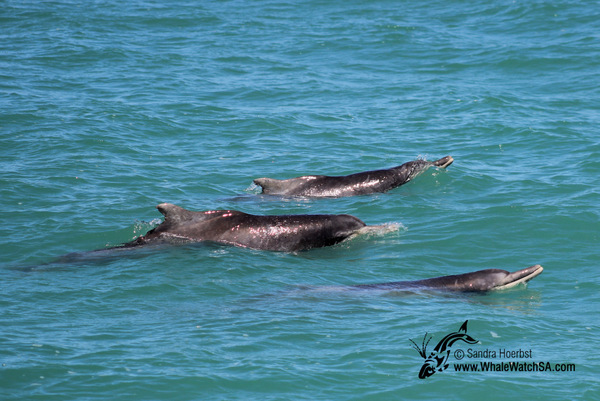 The dolphins were approaching our vessel several times before they continued hunting for fish. 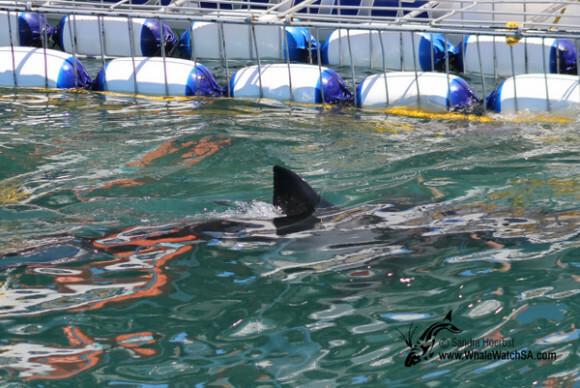 Around one of the shark cage diving vessels we got to see a Great White shark. 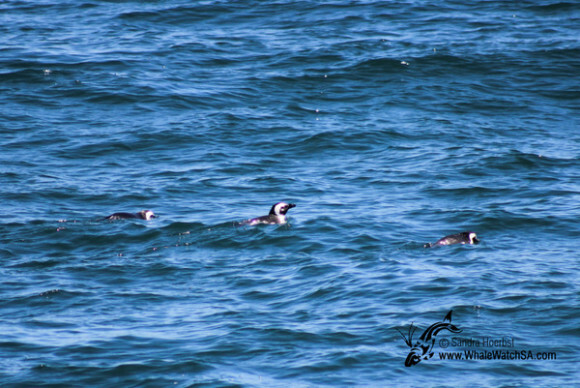 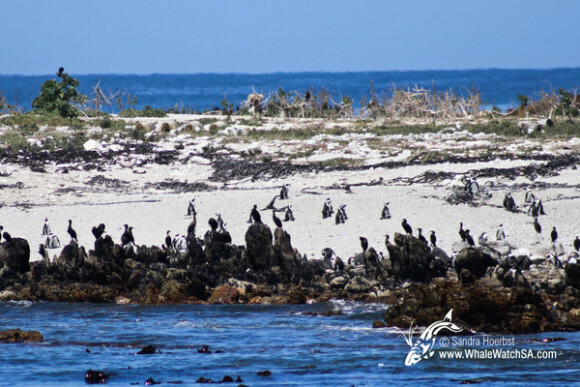 On the way to Dyer Island we spotted some African penguins as well as penguins on the island itself. 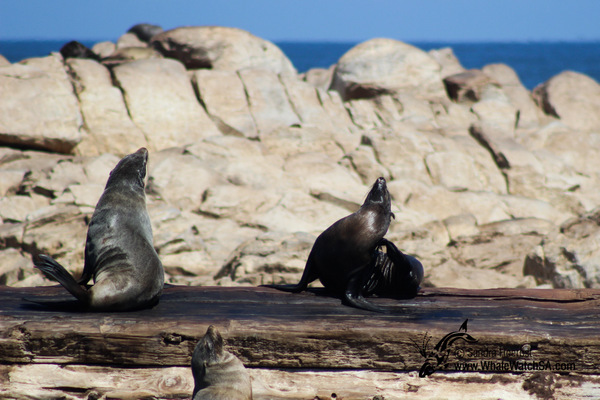 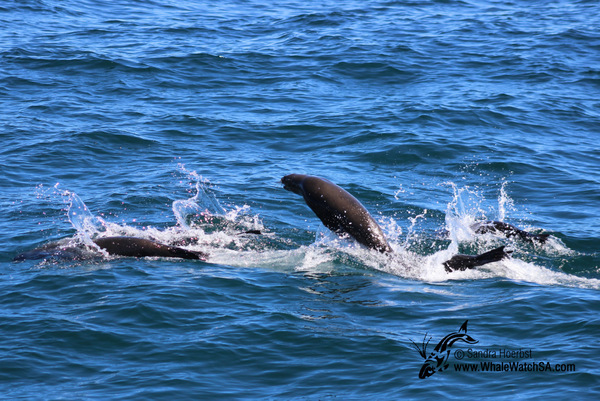 Heading around Geyser Rock we saw some of the Cape Fur seals heading into deeper ocean. Just around Geyser Rock on the way back to the Kleinbaai harbour we spotted a blow in the distance. 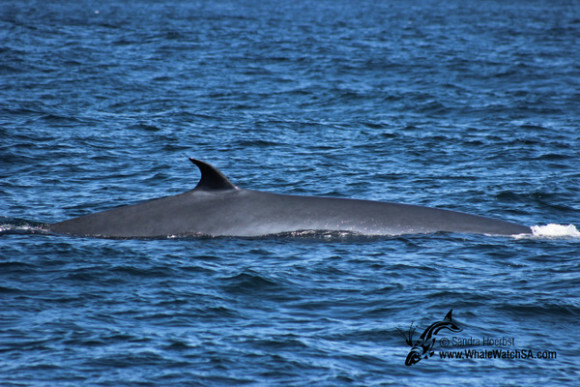 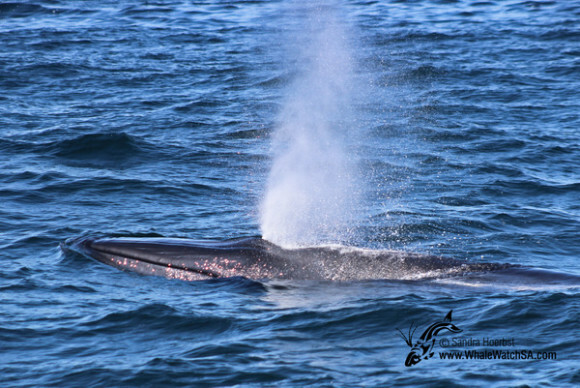 How lucky to see a Bryde’s whale. 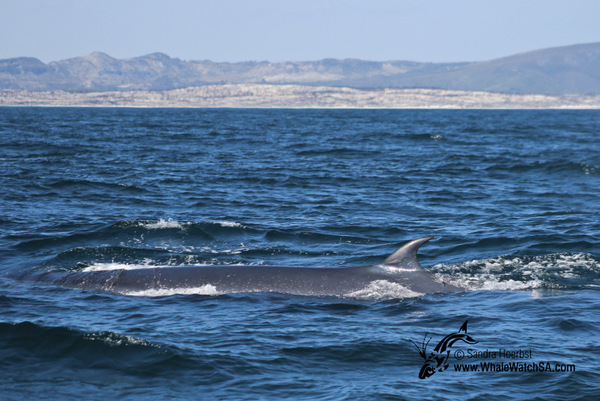 The whale was quite relaxed and was traveling alongside our vessel before it took a deeper dive and disappeared.